We eat lots of salads around here all year round. Yeah there's the standard recipe of protein, baby spinach, veggies, nuts and fruit tossed with some vinaigrette which I use lots but I like to mix it up ever so often. Here are just a few of my favourite different light summer salads, light, healthy and super easy to put together. 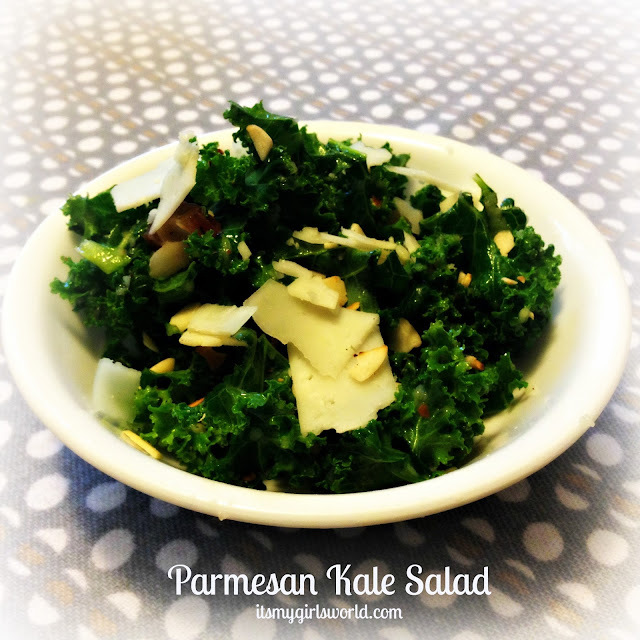 This parmesan kale salad is pretty light--- with the exception of a few parmesan shavings. The dates and nuts add lots of sweetness and crunch. 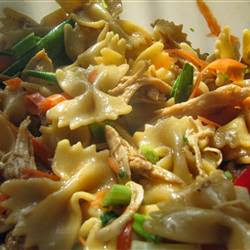 I make this cilantro chicken pasta salad all the time every summer! It's one of our family's favourites around here and I use wheat pasta and throw in a pepper or two to make it just a little bit healthier. This summer quinoa salad is crunchy and flavourful for lunch. And has SO much veggies. Throw in some protein for a heartier, healthy dinner. 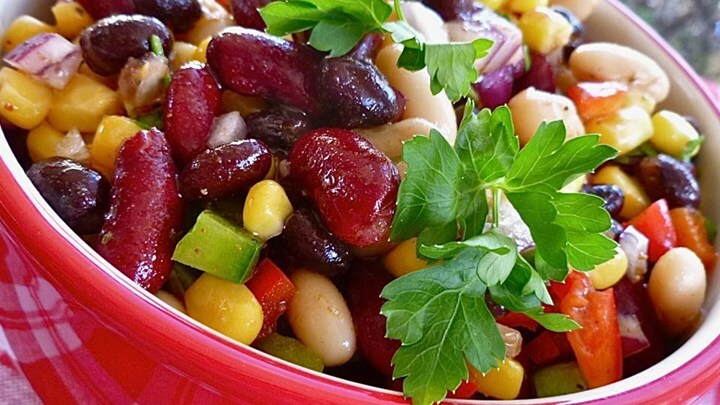 My sister in law made this Mexican bean salad one time and we just about went crazy over it. Beans, veggies and cilantro in a vinaigrette- yes please! It makes a whole lot and is also a great side for a BBQ. 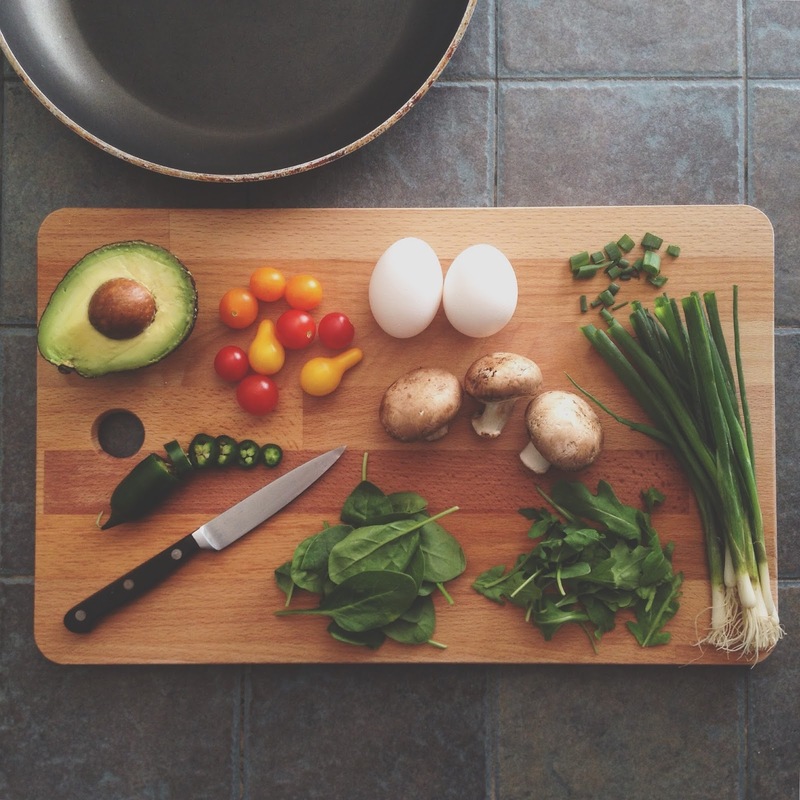 What are your go-to summer salad recipes. Linking up with Shelly and Katy today for Spiel The Beans! Yum, yum, yum! Love all your pics! I've never tried quinoa before. Maybe I'll give it a try this summer! Hope you're enjoying yours with those precious girls! Oh my goodness that cilantro chicken pasta...yum!! Carly Jo is going to be all over this one. Thanks so much for linking with us!! Yum! These all look so fresh for the summer! My stomach is growling! Everything looks so delicious. I'd never have though of quinoa in salad - looks yummy! Thanks for sharing, Sarita! 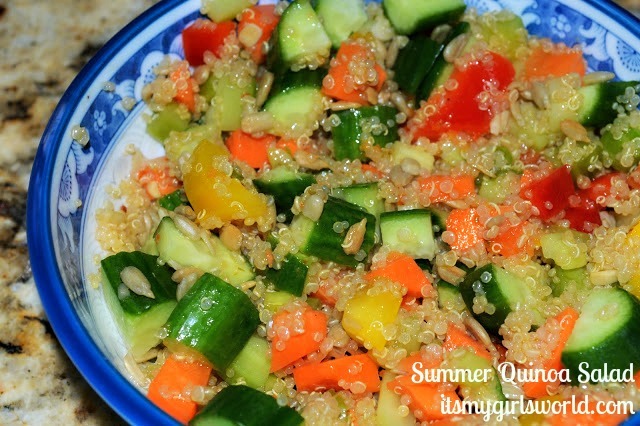 The summer quinoa salad sounds delicious. I'm always looking for new recipes but unfortunately the husband hates kale so I can't do that one but the rest are right up our alley. These all looks so summery and fresh. I should have read blogs earlier today so I could have tried some of these salads out! Plus I am getting really hungry too ;). Yum!! Salads are the best summer meal! That veggie quinoa one is calling my name.